We at Bush Radio are pleased to announce that Brenda Leonard has been appointed as the new Managing Director of Africa’s oldest community radio station project. Leonard takes over the reins from Zane Ibrahim who headed the station from 1996 and retired at the end of February 2010. During South Africa’s struggle against apartheid, Brenda occupied various roles within the liberation movement and was deeply involved in student politics in the Western Cape – as well as leading transformation within various communities on the Cape Flats. Leonard who headed the Bush Radio’s financial and administration departments was critical to ensuring success during our first license hearing post-1994 and all subsequent license hearings. She was instrumental in drafting policies and procedures and ensuring that these policies, whether training, employment or programming is gender sensitive – as well as ensuring that we had one of the first HIV and AIDS workplace policies in the country – a model which has been exported to numerous radio stations and organisations. She has also been in the forefront of ensuring that radio can be used as a tool for gender, political and health education. 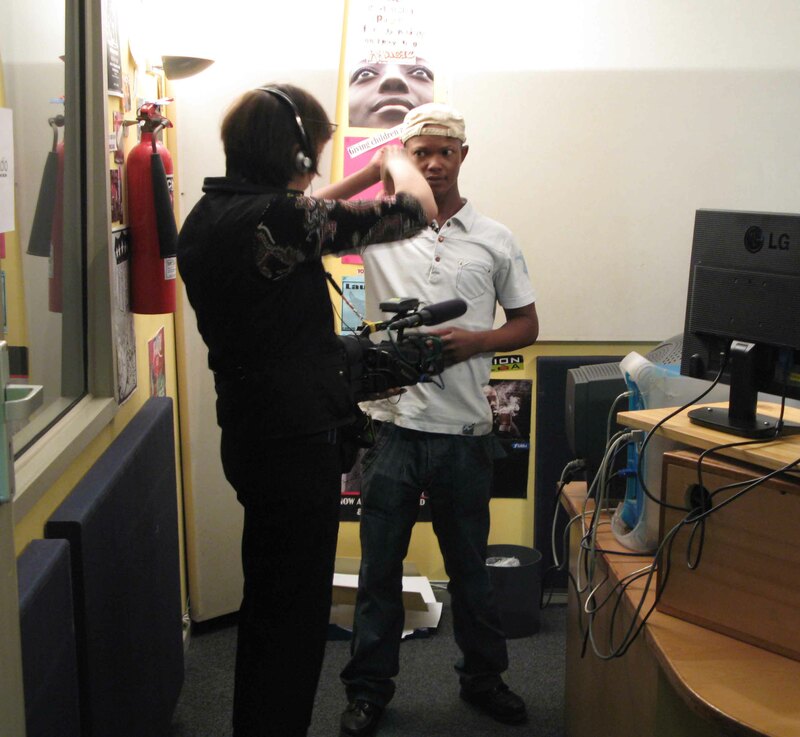 Leonard has been active in the establishment of, and training at, several radio stations in the region, as well as giving input to Parliament and other bodies on issues related to media and freedom of expression. She is married to Jerimia Thuynsma and has two children, Ashley-K, 13 years old, and 9 year-old Amilcar Cabral. Leonard holds a Communication Science degree from the University of South Africa. 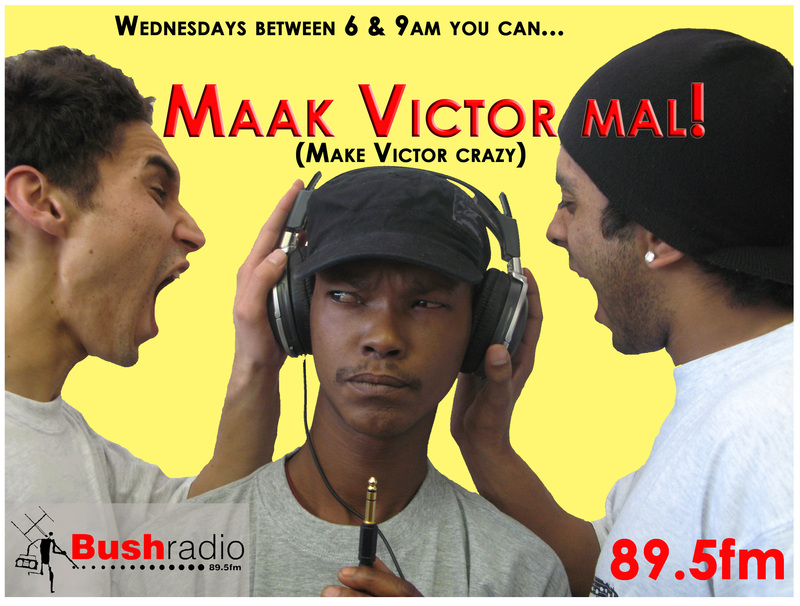 Wednesdays are becoming popular for not only for its Maak Victor Mal slot but also for its general craziness. This morning was nothing unusual for the team but we thought we would share some of the happenings in studio with you. Today the Breakfast team were joined by Stan1 for an interview and performance promoting his new single as well as Taxi Violence who trekked in for the Maak Victor Mal segment and played their track , Devil ‘n Pistol live. The guys were also joined by Leole-Ann Francis from the Cape Town Festival and then Victor and Shiraaz received a surprise call from Zaki Ibrahim who is performing at the festival. Capturing all this madness unique to the breakfast show was Ulrike Eichin from Zweites Deutsches Fernsehen (ZDF) – a public-service German television channel, who along with other colleagues are working on a unique documentary covering the lives of South African’s in a 24 hour cycle.